Open Source Hardware enthusiasts — I am an artificial intelligence professor/researcher, and have more work this year than there are hours in the day. This is greatly reducing my free time, and ability to contribute to open source hardware, such as this project. I’m looking for a postdoctoral scholar interested in joining my lab at the University of Arizona, who is interested in the artificial intelligence of language and inference, to work on some exciting research projects, and help reduce some of my work load. Please forward this advertisement to anyone you feel may be interested. I would like to find someone as soon as possible. I’ve been assembling and characterizing the new imaging array, which currently contains ten of the sixteen total high-energy particle detectors. 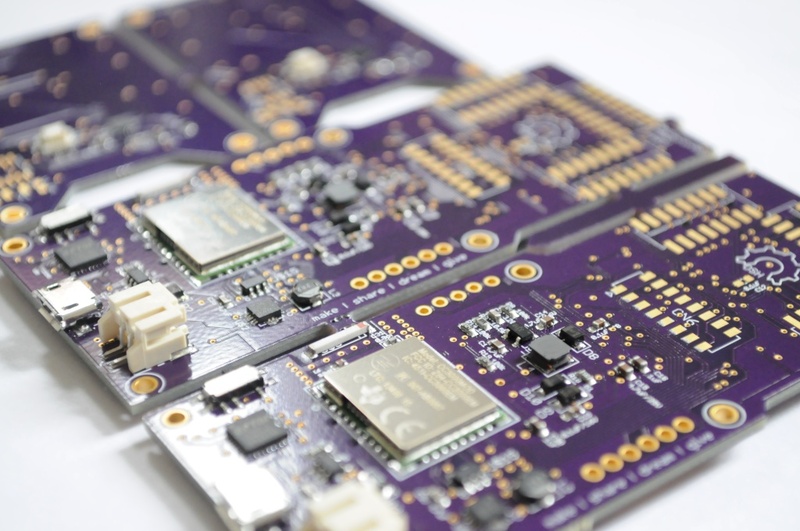 The revised high energy particle detector boards arrived, and I’ve had the chance to put one together and verify it working over the weekend — and snapped some pictures of the assembly process along the way. This (long!) 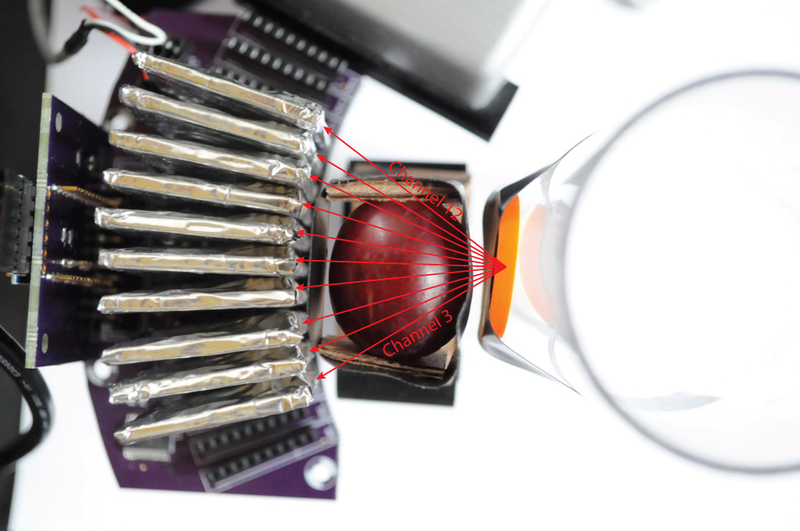 post details the assembly process, and (towards the bottom) describes some initial characterization of the detector, including a histogram of detector variability. For more details, please see the detailed OpenCT2 project build logs! I’ve been thinking about tomographic imaging a lot lately in between nursing sore fingers from learning how to hand-wind electromagnetic coils for my attempt at a small prepolarized coded-field MRI, and I thought I’d take a moment to share some progress. 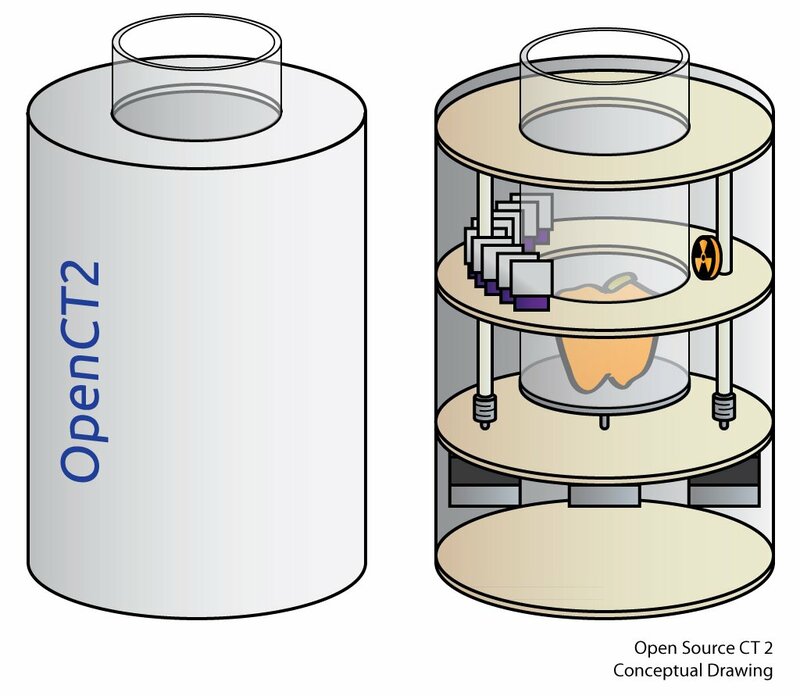 The open source computed tomography (CT) scanner that I put together last year was a lot of fun to design, having many atypical design problems in it, from the mechanical design of the rotary gantry to pairing an appropriate radioisotope source with a modified extra-sensitive radiation sensor. Something about it being essentially a radioactive desktop Stargate that lets you see inside of things also seems to get people very excited, and so I’ve received an eclectic bunch of e-mails asking about the scanner from folks as diverse as radiology professors and biomedical folks to makers to those hoping I’d open up Dr. Jansen’s back-alley CT scans to have a look at some strange bump they have (please go see your doctor!). But I feel that for all the excitement, to quote Feynman, the current open CT design feels a bit like a dog that walks on two legs — it’s not that it does it well, it’s that it does it at all. 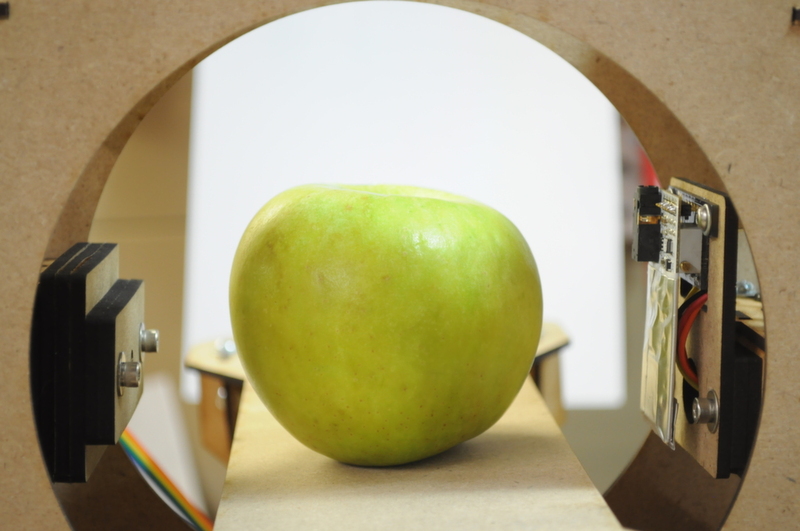 It’s essentially a working model of the first generation of CT scanners, and so it takes a very long time to get even a single slice of an image. I’ve been wondering what it would take to move it from a proof of concept into something that does the job well, or at least substantially better. The previous design makes use of a 10uCi Barium-133 radioisotope check source, which is the strongest radioisotope source that’s available without a licence. Barium-133 has strong x-ray peaks around 31kEv and 81kEv, which are low enough energy that organic water-containing materials (like apples and bell peppers) are reasonably contrastive for imaging. The silicon PIN photodiode detector in the Radiation Watch Type 5 high energy particle detector that I used is also most efficient at low (~10kEv) energies, meaning that we would need less exposure time to generate an image with sufficient signal to make things out, although there are technical challenges in detecting these lower energy photons. Imaging under these circumstances is essentially a constant battle for detecting signal over the noise, and one way to generally increase SNR is to increase the measurement time — although of course this increases how long it takes to create an image. In the extreme case when you’re so signal starved, it ends up taking all night just to capture a single slice of a bell pepper. Another alternative that’s been suggested is to increase the intensity of the x-ray source. For a variety of safety reasons this isn’t something that I’m willing to explore. I’ve heard of folks experimenting with surplus x-ray tubes and equipment, and I believe that your health is just too precious to risk for such endeavors. Pragmatically, as an open source project, using readily available radioisotope check sources is also much more repeatable than found radiography parts. Decrease the scanning volume: The current design has a source-detector distance of about 12cm. Following the inverse square law, each halving of this distance should increase the number of counts at the detector by a factor of 4. Detect in parallel: Starting with second-generation CT scanners, parallel arrays of detectors were used to dramatically decrease scan time. This should give linear speed gains — e.g. N detectors should reduce the scan time by a factor of N.
Increase sensitivity: Detecting the signal from single photons requires a genuinely incredible amount of amplification, and this process is noisy. While previously recalibrating the Type 5 detection threshold to just above the noise floor yielded many more counts, it appears as though much of the signal is still buried below the noise floor of the detector. It’s likely that a solution will end up with some combination of each of these alternatives. Where the first generation of medical CT scanners contained only a single photodetector, I’ve read that each generation of CT scanner after has increased the number of detectors by about an order of magnitude over the generation before it — moving from ~30 detectors in a second generation system, to ~300 in third-generation fan-beam systems, to ~2000 in modern static ring systems. Each of these improvements allowed scan times to reduce accordingly, starting from about half an hour with first generation systems, to about a minute, to now only a few seconds. 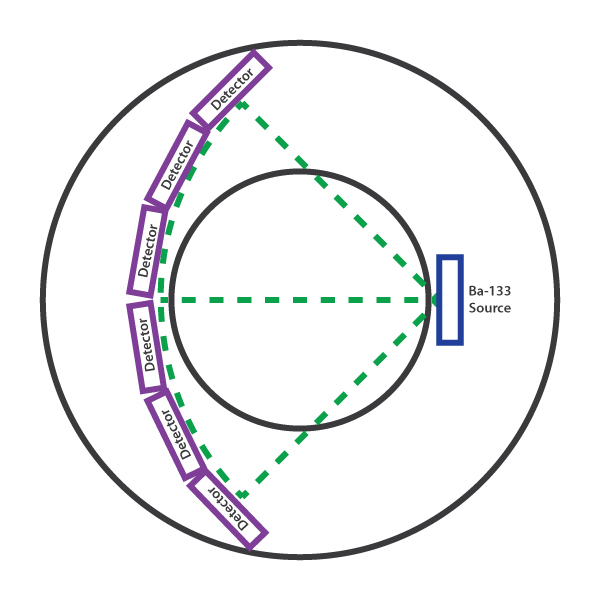 Above we can see how the current system might be parallelized with more Type 5 detectors, each arranged across an arc such that there is a constant distance between the source and each detector. The Type 5 is one of my favorite sensors of recent years, and I’ve had a lot of milage out of it, but unfortunately because it’s about an inch across, it would be difficult to parallelize the desktop CT with more than about 6 detectors using this design. 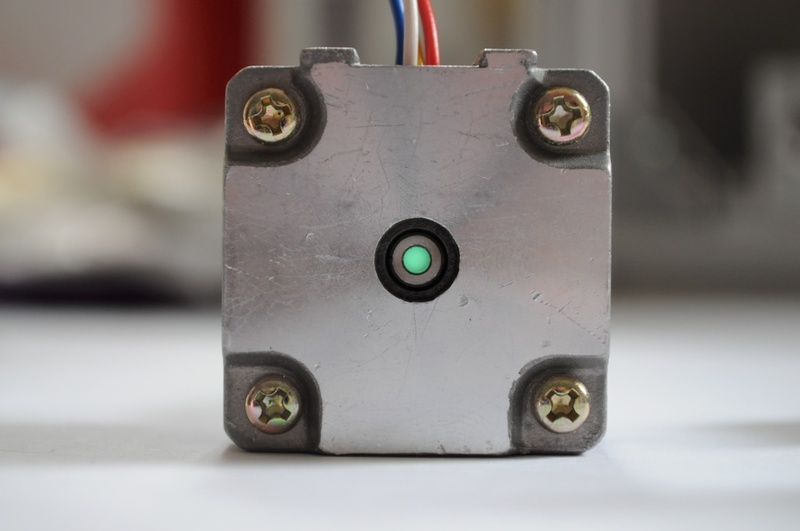 Additionally, the fantastic First Sensor X100-7 that the Type 5 uses has a 10mm x 10mm active area, which makes it great for collecting and detecting high energy particles, but a little large for the kind of spatial imaging that we’re doing, so the images will be a little blurred. Having a smaller detection area will increase our spatial resolution, and decrease the detector size — so that (ideally) we’ll be able to pack many more detectors in (as shown below), and decrease the scan time. 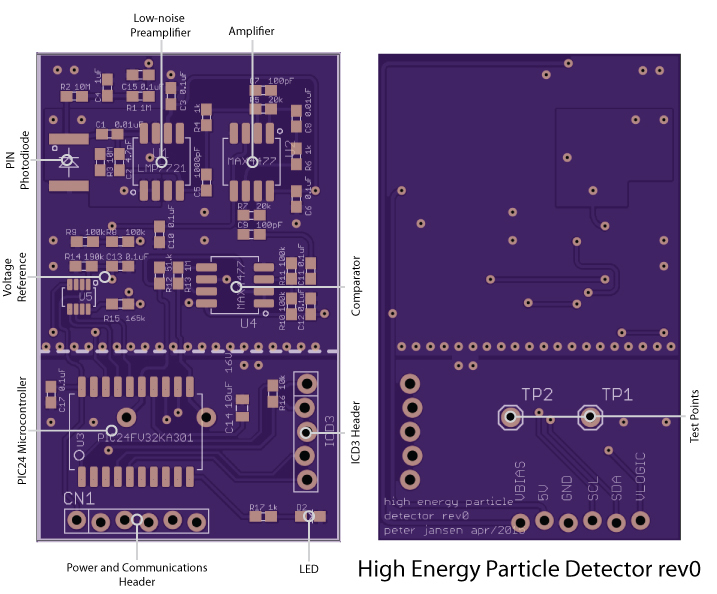 High-energy particle detectors are extremely challenging to design and build, in large part because you’re amplifying the signals from a single subatomic particle by many orders of magnitude in order to be barely detectable by a microcontroller. Because of this they’re extremely sensitive to noise, layout, component selection, and generally must also be shielded from external interference. Given the design challenge I’ve been reading whatever I can find on the topic over the last few months, and meditating on layout guidelines to reach the zen-master level of low-noise layout required for such a task, or at least to get a prototype to a point that I can work from. 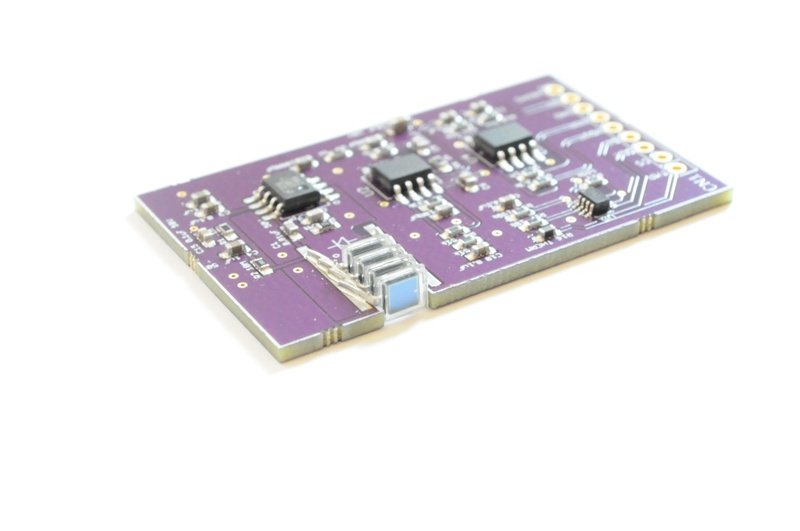 The design that I arrived at is heavily based on the Maxim Appnote 2236: Gamma-Photon Radiation Detector, which uses a reverse-biased silicon PIN photodiode as the detector connected to an extremely sensitive first-stage amplifier, followed by a series of cascade amplifiers to increase the signal intensity. 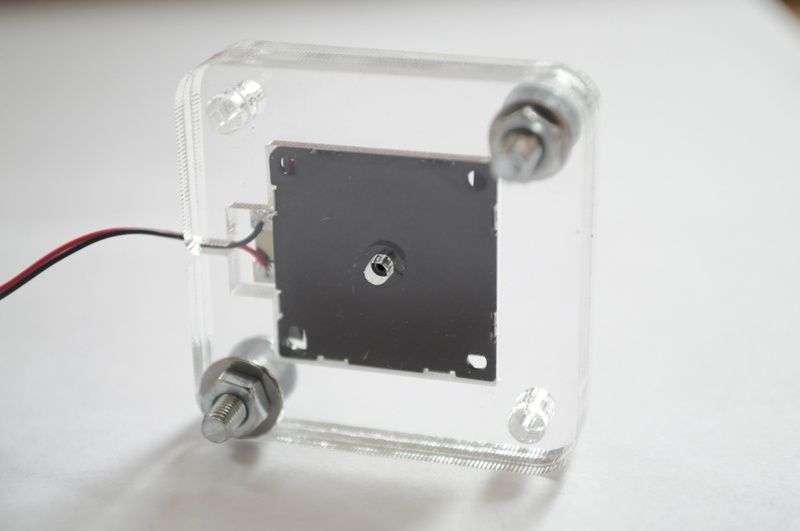 The photodiode is the popular BPW34, which has been used in a number of other radiation sensor projects. The active area of the BPW34 is only 7.5mm^2 (a little less than 3mm x 3mm), which is a little over 10 times smaller than the 100mm^2 of the X100-7, so this should increase the spatial resolution a good deal. 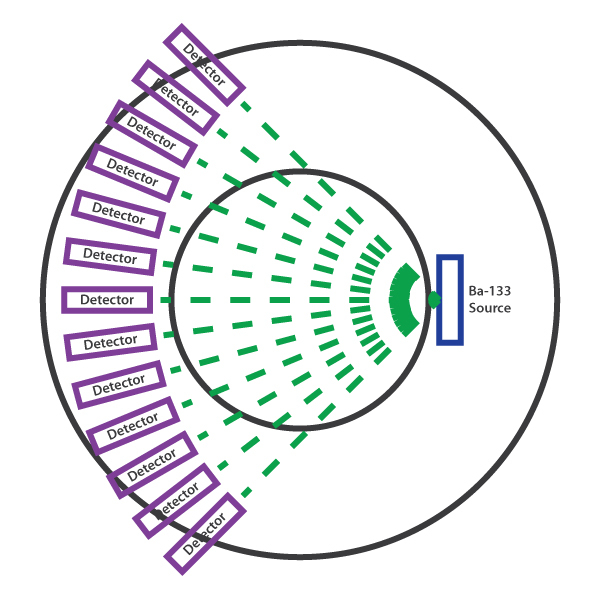 While many of the hobbyist designs for radiation sensors operate at effective noise thresholds of around 100kEv or more, because here we have such a specialized application where most of the business photons are 31kEv or 81kEv, keeping the noise floor as low as possible to be able to detect these photons is critical. A number of academic project writeups for radiation detectors I’ve found suggested that the Texas Instruments LMP7721 would be an ideal choice for helping keep the first-stage amplifier as low-noise as possible, both because of its incredibly low noise characteristics (measured in femtoamps), and an uncommon footprint that includes guard pins to further reduce layout noise. 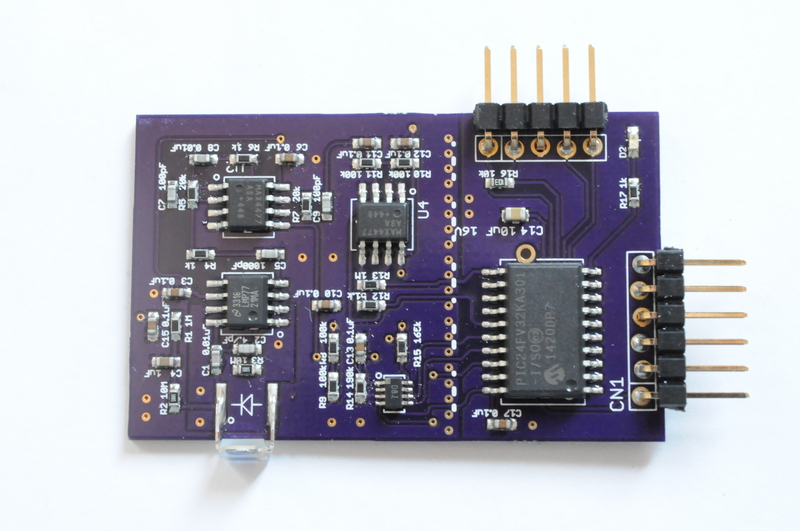 To make the boards modular and digitally addressable, I’ve added on a PIC24FV32KA301 microcontroller, which sports a 12-bit analog-to-digital converter (~1.2mV resolution @ 5V), and plenty of RAM to store a histogram of pulse widths to experiment with doing very crude spectroscopy as I’ve done with the Radiation Watch Type 5. Both the raw analog output of the photodiode amplifier as well as the digital output of a comparator serve as input to the PIC, and a digipot allows one to dynamically calibrate the comparator output based on the noise level at runtime. I’ve also included a small LED for debugging. 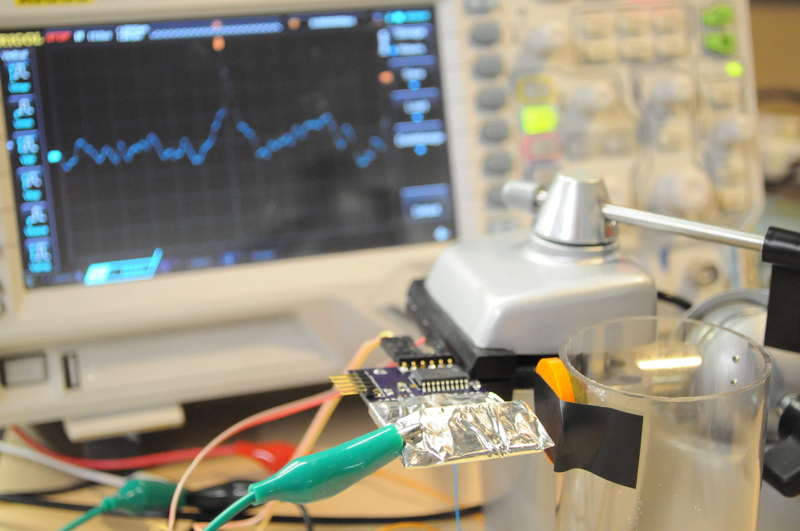 The PIC currently exposes an I2C interface (SDA/SCL) for external communication, though in retrospect while this makes communication easy, it would also require programming each detector with a unique I2C address — so future revisions might move to an SPI interface. In terms of assembly, the memory of spending 4 days to assemble a set of fine-pitched Arducorder boards is very fresh with me, and so I’ve designed these to be very easily put together — a single-sided design with 0603 parts or larger on all the passives, and SOIC pitches on each of the ICs with the exception of the SOT-8 footprint for the digipot. 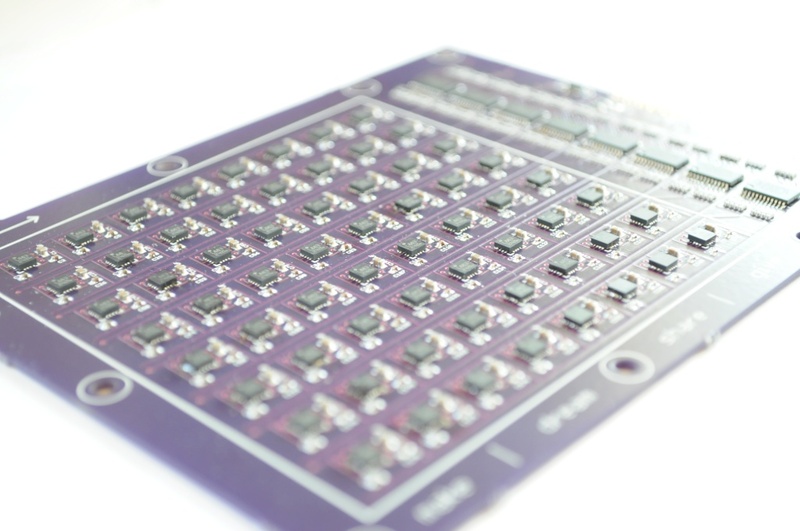 So it’s comparatively easy to build a bunch of these and pop them in the reflow oven, and with a low-quantity BOM of $20-$30 (about half of which is from the TI LMP7721), they’re relatively inexpensive. 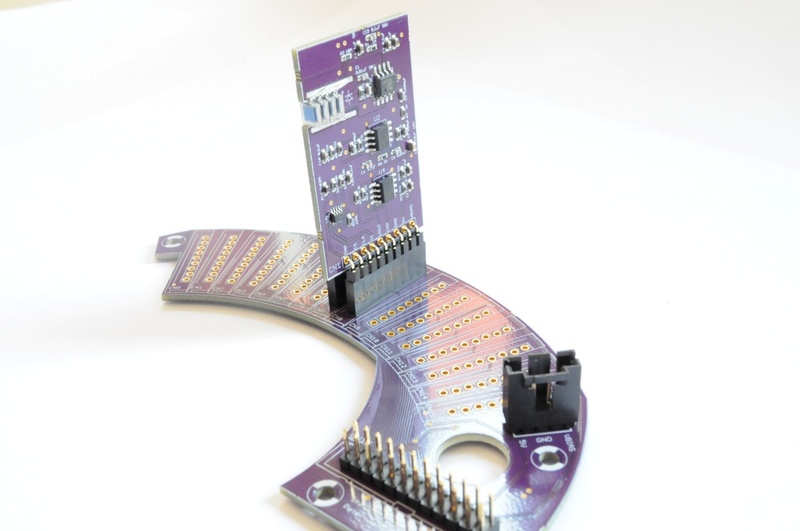 A series of guard vias on the ground plane divide the analog and digital sections. I’ve found that shielding the analog section and grounding the shield (like the Type 5) is absolutely essential for operation, much as the appnotes prescribe. 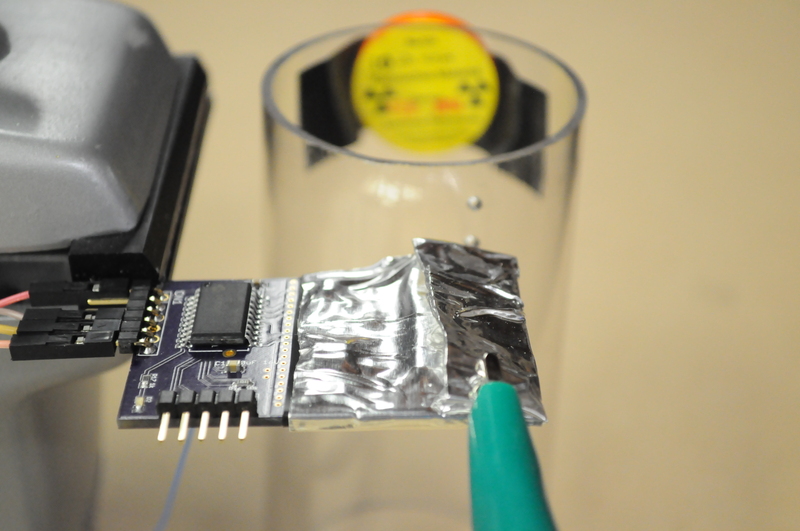 I’m not sure what folks tend to use for the shielding tape, but I found that a wrap of electrical tape (to shield the photodiode from light and provide a non-conductive base) followed by a wrap of standard aluminum duct tape from the hardware store seems to work well as a first pass. As an aside, for the low-field MRI project I’ve been looking for a USB oscilloscope or DAQ that would allow recording at at least 100KSps (ideally 1MSPS) at 12+bits of resolution for several seconds. This is a little unusual — usually scopes that are fast have very short sample memories. I’d seen an article about building a sound card oscilloscope in Make that would easily allow for such long recordings, as well as folks selling oscilloscope probes modified for sound card use, so I thought I’d give this a try before using a benchtop oscilloscope. 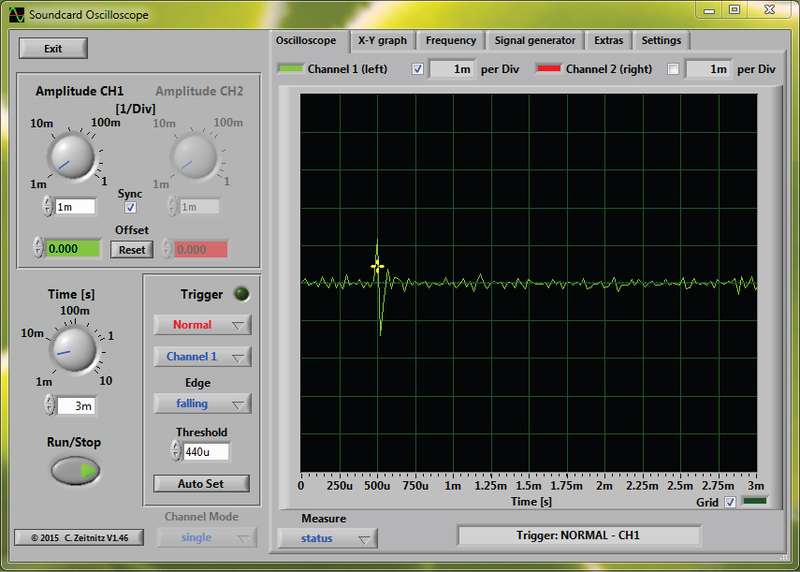 Above is a recording from the soundcard oscilloscope with the Ba133 radioisotope source near the detector — and the detections were clearly above the noise floor. Wonderful news! The units on the axes aren’t entirely clear here, and with such a slow sample rate we’re right on the edge of being able to detect this signal, so on to a benchtop scope to better characterize things. Here I’ve taped the 10uCi Ba-133 radioisotope source to the side of a 2 inch diameter acrylic cylinder. 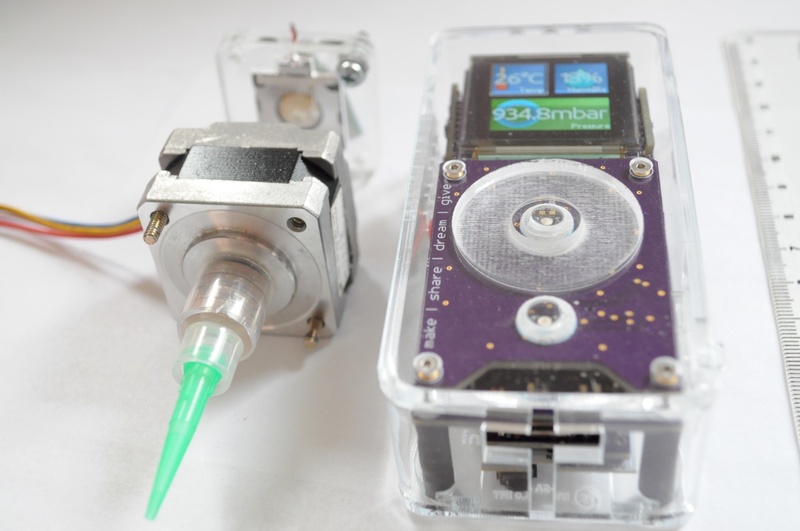 In this configuration I can easily rotate it to see the number of photons detected when the source is directly beside the detector, and compare this to when the source is 2 inches away, and going through a thin (1/16 inch) acrylic sample container. 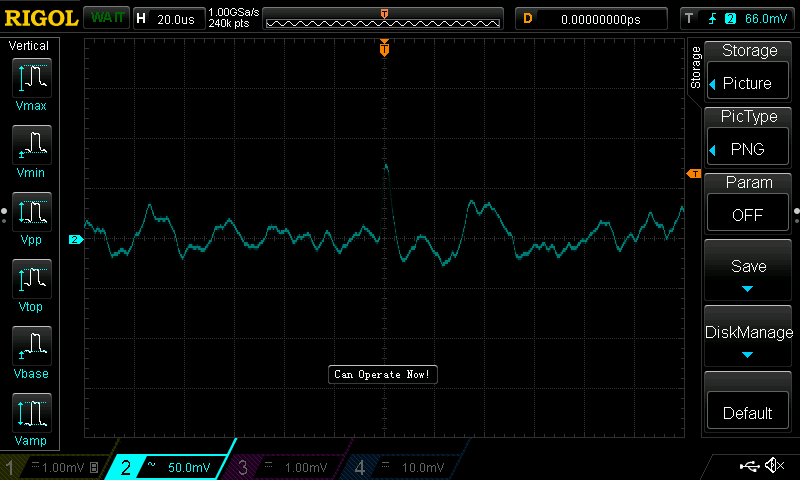 The noise floor generally appears to be around +/- 40mV, which is very decent for a first try, although it did appear to increase to nearly +/-60mV after being on for a few hours. I was also doing this at Xerocraft beside a metal shop, and the noise would periodically go a little crazy when a large piece of equipment (like the mill) was turned on, so I’m not entirely confident in the noise characterization — but it’s a good start. The firmware for the PIC isn’t complete, so I was using the scope to trigger on the raw analog output instead of using the PIC (either with the analog output, or the digital comparator output). With the Ba133 source very near to the detector there were far too many detections to count, and with it 2 inches away going through the acrylic cylinder, I counted approximately 20-30 counts per minute. That’s not incredible, but it’s also workable, especially if the noise floor can be lowered, and we gain access to more signal. To help ground this, the bell pepper image shown earlier was captured at about 22×22 pixel resolution, with about 60 seconds of integration time per pixel, for a total of about 9 hours of acquisition. Using a parallel array of about 20 of these BPW34 detectors, the rows of such an image could be captured in parallel, so we’d only have to scan in one dimension. Assuming it takes 5 minutes of integration to capture an image with a similar baseline signal (say 100 counts) to 60 seconds of integration with the Type 5, we could capture a similar (likely sharper) image with about 20 measurement cycles using the parallel detector. At 5 minutes per measurement cycle, this would reduce the acquisition time to about 90 minutes, or a factor of 10 faster than the original device. Were we to significantly improve the noise threshold, this could further decrease the acquisition time, and really start to get low resolution images in under an hour, and complete low resolution tomographic scans (at 10 degree increments, or 36 angles) in under a day. That’d be a substantial improvement over the current system. Given the requirement for long acquisition times (though much shorter than before), I’ve been sketching up a simplified mechanical design that could be entirely self-contained without any moving parts exposed, and placed on the edge of ones desk to scan away for the duration. I’d also like it to be much more compact than the original design so that it’s unobtrusive, while being attractive and interesting enough that it would be a welcome addition to ones desk. 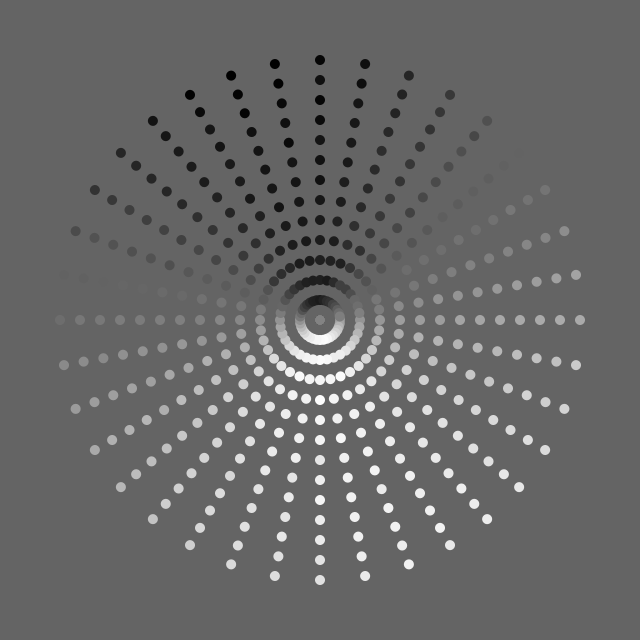 The basic design would be a cylinder approximately 6-8 inches in diameter, and 8-12 inches high, with a 2-3 inch diameter aperture in the top to place in a cylindrical acrylic sample container. 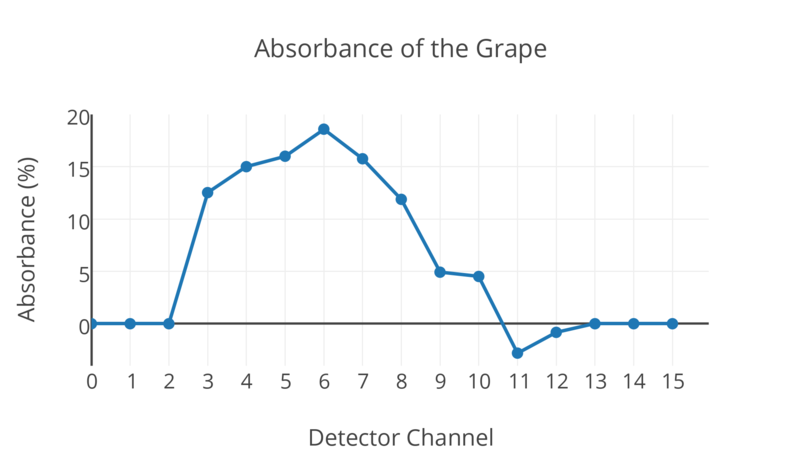 Moving to a parallel detector removes the need to linearly scan both the source and detector, which removes two of the four axes, greatly simplifying the mechanical design. 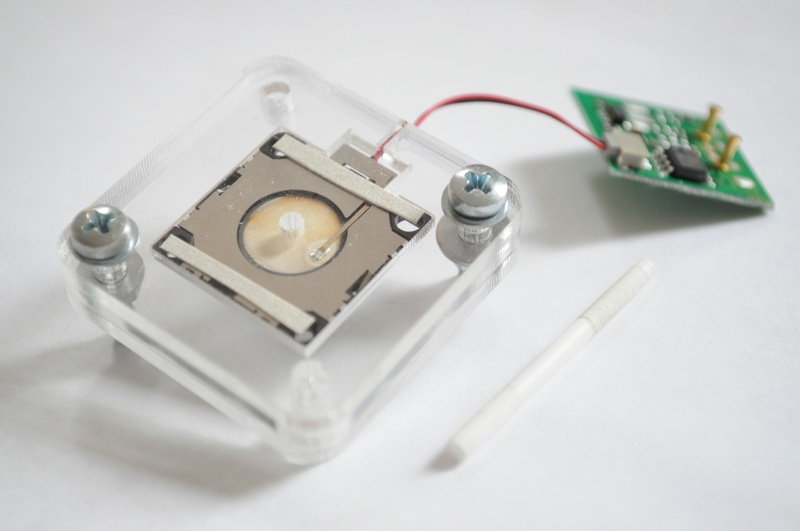 In this prototype, the idea is that a small sample container slides in through the top, and the sample itself (rather than the source and detectors) will rotate, also greatly simplifying the design. 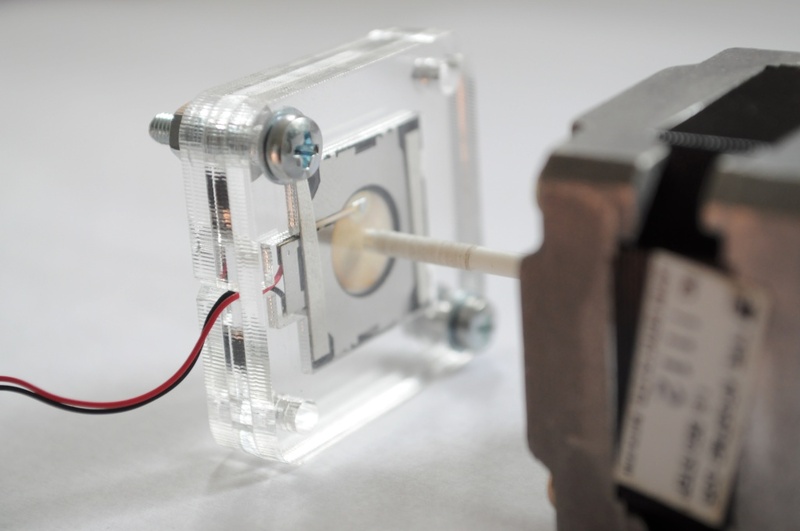 The source and detectors would be mounted on a moving Z-axis (shown above), that translates them up and down to capture different slices of the sample. While here I’ve included two stepper motors on nylon lead screws for this purpose, in practice this doesn’t appear to provide enough support to prevent the Z stage from walking, especially with an unbalanced load — and so this will likely change to three lead screws in the next revision. The drive motors are currently NEMA14 steppers, with a NEMA17 footprint for the sample cylinder support and rotation. So far a great first set of experiments and sketches, and it’ll be interesting to better characterize the detector design, make improvements and revisions, and see how it all ultimately affects acquisition time. My friend David Lesser and I have started work on an ambitious project that I’ve been thinking about for nearly seven years — constructing a low-field desktop magnetic resonance imager (MRI) prototype. We’re hoping to do this by borrowing from coded aperture spectroscopy and imaging to back out the field inhomogeneities in electromagnets. If we’re clever, and lucky, we hope to be able to get a few cubic inches of useful scanning volume. You can follow the project build logs here, which is an entry for this year’s Hackaday Prize to space. I recently posted about a simple and inexpensive pick-and-place vacuum head that I’ve been designing. With the swivel house connector figured out, I’m just waiting on some hose couplers before mounting it to give it a spin. In light of the pick-and-place vacuum head seemingly in good shape, I thought I’d take a moment to post a few pictures of a prototype solder paste extruder that I started designing this weekend, since I’m hoping to do this automatically as well. 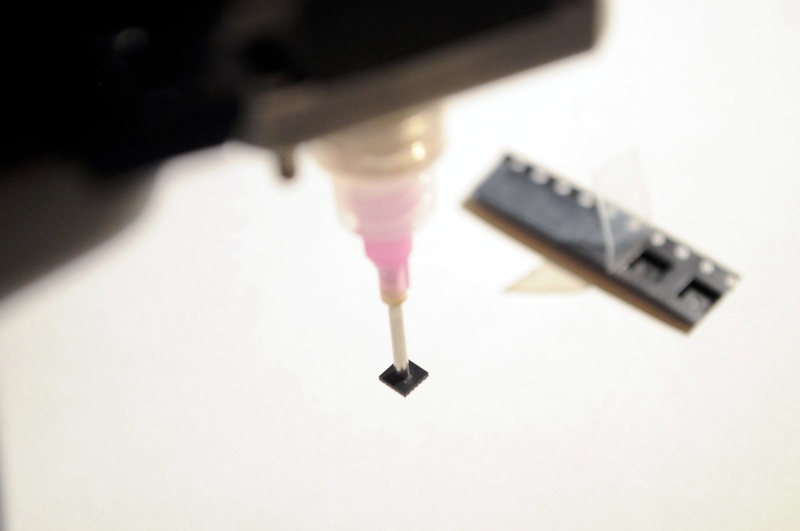 When I first started with surface mount components I just manually dispensed the paste from the syringe, and in the last few years I’ve been using the inexpensive solder paste stencils from places like OSH Stencils to really speed up the pasting process, as well as make it more repeatable and reliable. But as much as I refine my technique, I’m still not great at stenciling paste on larger boards that have lots of fine pitched components, on the order of 0.4mm to 0.5mm spacing. 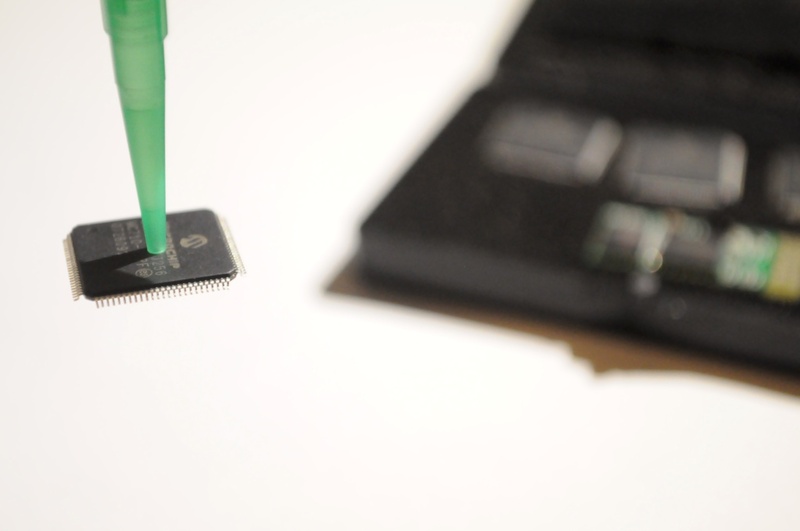 I find that after stenciling I’ll spend a good deal of time moving the paste around with fine tweezers to help prevent bridging (although often there are still bridges), and so I usually end up manually soldering fine pitch TQFP parts, which is very time consuming. 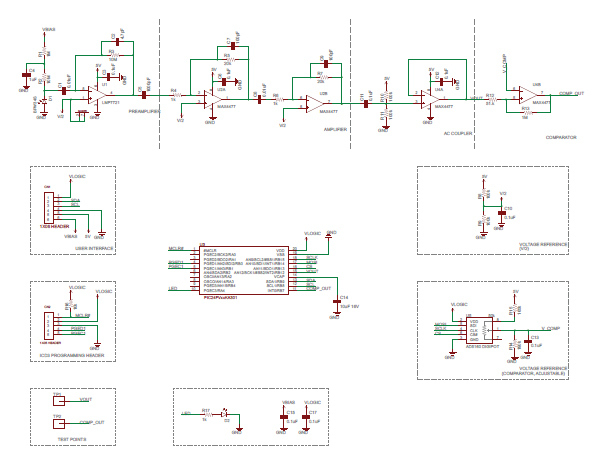 For a project in my queue, I’ve designed a board that has about 300 parts (summing to a little under 2000 pads), most of which are 0402 capacitors or 0.4mm pitch leadless QFNs over a board that’s about 10cm on an edge — which is likely beyond my capacity to easily, reliably, or comfortably assemble by hand. This is exactly what these machines were designed for, after all! 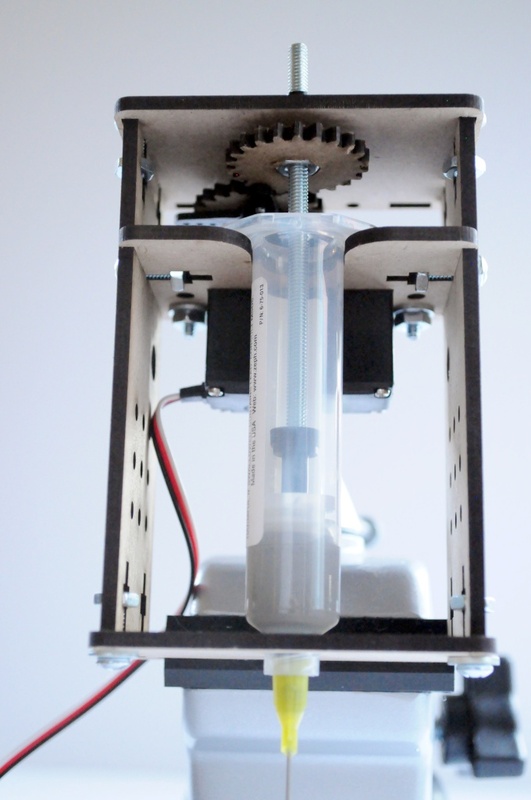 I had a good look at a bunch of open paste extruders on Thingiverse to see what folks have been up to, and how this is traditionally approached. I’ve read that high-capacity commercial machines often use pneumatics for solder paste extrusion, but that’s a level of complexity that a lot of the folks in the open source community aren’t willing to get into (myself included), although there are some examples of this approach being used, like the Claystruder. 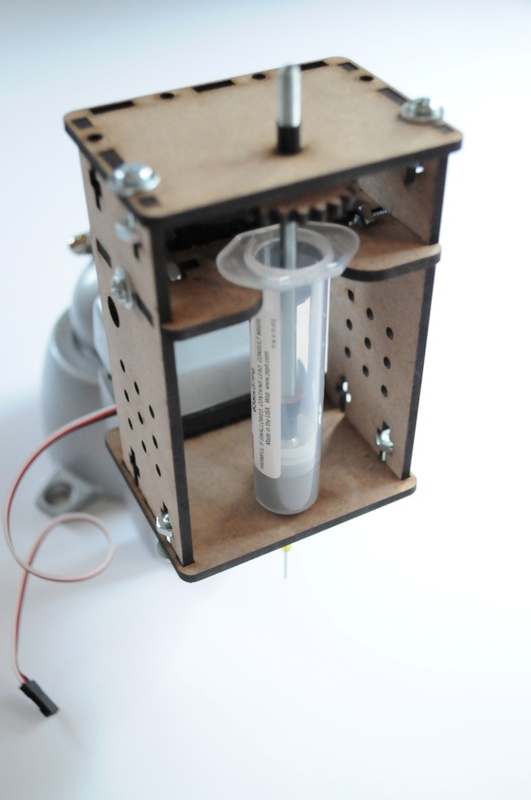 The two more common approaches to open paste extruders seem to be using a lead screw to press on the plunger (like with this simple-paste-extruder or the Printrbot Paste Extruder), or using a belt attached to a vast system of gears to very slowly press down on a syringe plunger with high torque (as with Richrap’s Universal Paste Extruder). I happen to have one of Richrap’s extruders and it’s a beautiful piece of work, but all the gearing make it a little large and heavy for the machine that I’m putting together. The lead screw approach has always appealed to me for it’s simplicity, so I decided to give that a try first. The recent kickstarter for the Voltera Circuit Printer has also convinced me that the lead screw approach can likely be done very compactly, with a minimum of weight, and support quickly changing paste syringes. The prototype that I put together is more of a sketch in hardware to help me appreciate the issues of paste extrusion, and help hammer out a design. Instead of using a plunger, I’ve used a very long lead screw that acts as the plunger, and has a gear atop with a captive nut to transfer force. The gear is driven by a Parallax continuous rotation servo, which I thought I’d try given that it simplifies the design by having an integrated gear box (which gives it lots of torque), and it can be directly driven by a microcontroller rather than requiring a separate stepper driver. Resolution requirements: Using this 8-32 screw, it takes about a quarter turn of the nut to start the paste extruding (from rest). But the paste keeps flowing, so it’ll likely need to move (say) a quarter turn in one direction to get the paste flowing, then immediately move most of a quarter turn in the opposite direction to stop the paste from flowing, and get an appropriately small spot of paste. It’s not clear whether I’ll have to move to a stepper to get the required resolution for this back-and-forth traversal. Force: Quite a bit of force is required — it does bow the MDF on my prototype a bit at the top, so that plate will have to be more rigid. Reversing: Some designs include rails, while others appear not to include them. 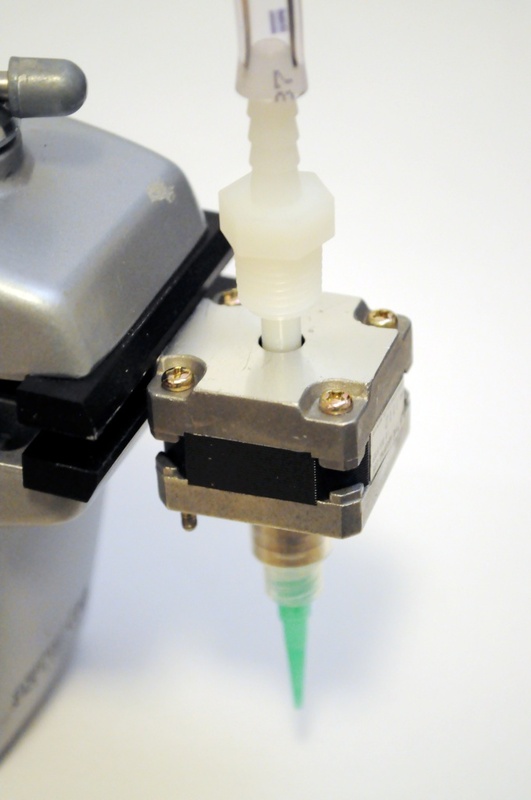 Given that reversing appears to be not just a convenience for more easily swapping out paste syringes, but also an integral part of the extrusion process to prevent oozing and more accurately deposit precise amounts of paste, some rails will have to be added to ensure that the linear motion is transferred to the screw (and that it doesn’t just spin in place). Definitely a successful experiment, and plenty to absorb for my next free evening infront of the laser cutter. Hopefully with a few more iterations I’ll have arrived at a very functional, capable, and compact design. Thanks for reading! I try to have a few different projects on the go at any time — a big, long term project (like the Arducorder), a shorter-term fun project (like the Open Source CT scanner), and a bunch of smaller weekend or few-weekend project (like the open mini spectrometer). Having a few projects of varying time scales allows you to switch projects when you’re burned out on one, and make more headway on creative pursuits when you’re at the mercy of inspiration. A project I’ve had on the backburner for some time is building a small, open source pick-and-place machine. In the past year or so there’s been a lot of interest in this space, and different groups (e.g. 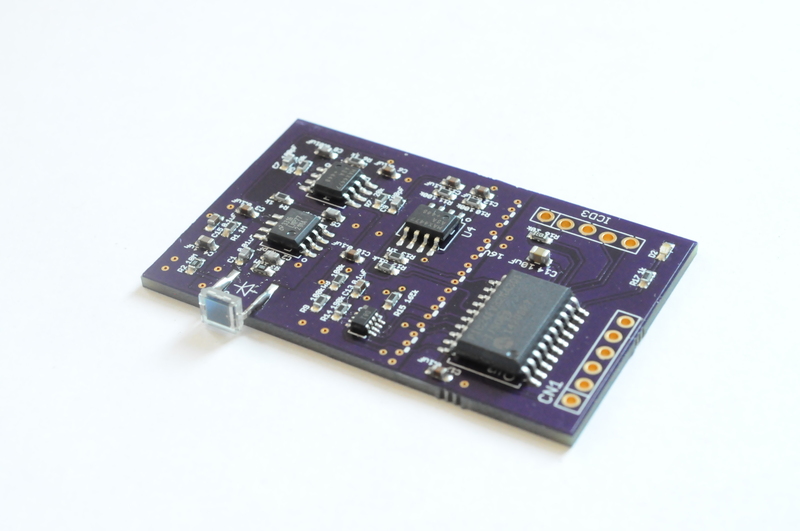 openpnp, firepick) have been working on designs to help folks assemble boards quickly and inexpensively. I thought I’d take a moment to show my progress on a pick-and-place vacuum head, given that I haven’t found a great deal of consolidated information on the topic. I confess that I’ve been thinking /very/ big and intractable on my pick-and-place project, so much so that it’s been never ending. 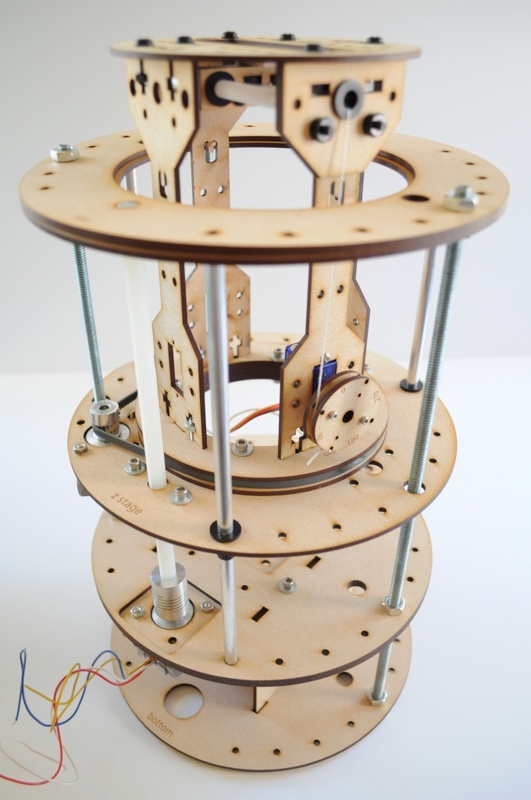 There’s been a half-built machine in my workshop for several years that slowly sees progress every few months, largely because the project is too big — I have been trying, as a hobby, to make a factory in a single 50cm cubed machine. 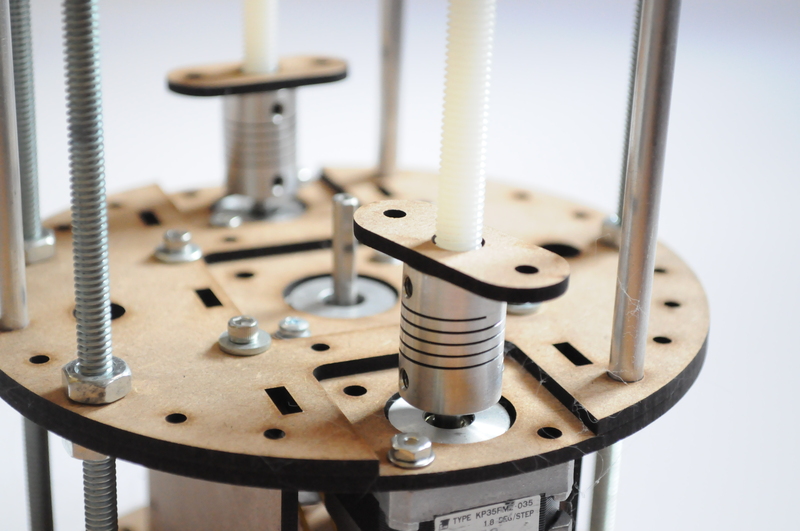 I designed the machine with an automatic tool changer so that it could pick up different heads, the idea being that you could pick up a mill head to mill out a circuit board, pick up a solder paste dispenser to apply paste, then pick up a pick-and-place head to populate the parts, and finally pick up a 3D printing extruder to create an enclosure for the board, all assembled by the same machine. This is of course fantastically challenging, and likely way too large a project for a single person, and I’ve only progressed as far as designing and building the tool changing head and x/y/z cartesian robot, but haven’t returned to the project to build any of the tool heads, like a vacuum head for picking-and-placing components and populating circuit boards. Putting together a small, working pick-and-place machine has jumped closer to the front of my queue lately. One of the most challenging things to accept as I’ve been getting a little older is that there’s only one of me, and only so many hours in the day — especially when trying to have a work/life balance. I have an interesting sensing project in my queue, but populating the board requires populating about 300 components, many 0402, extremely precisely. 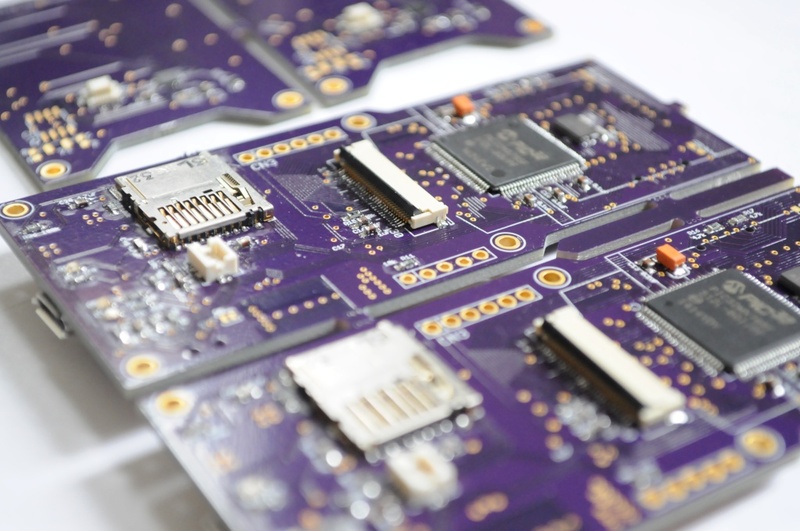 More than that, I’ve been working to put together a few extra Arducorders, and each Arducorder takes me 4 full days to put together — the motherboard alone tends to take about 8 hours, as it’s double-sided, full of fine pitch components, and one side tends to have to be hand soldered. All this means the process has been going very slowly, much slower than I’d like. I feel like inexpensive open source pick-and-place vacuum heads are in a similar place to where open source 3D printer extruders were about a decade ago. 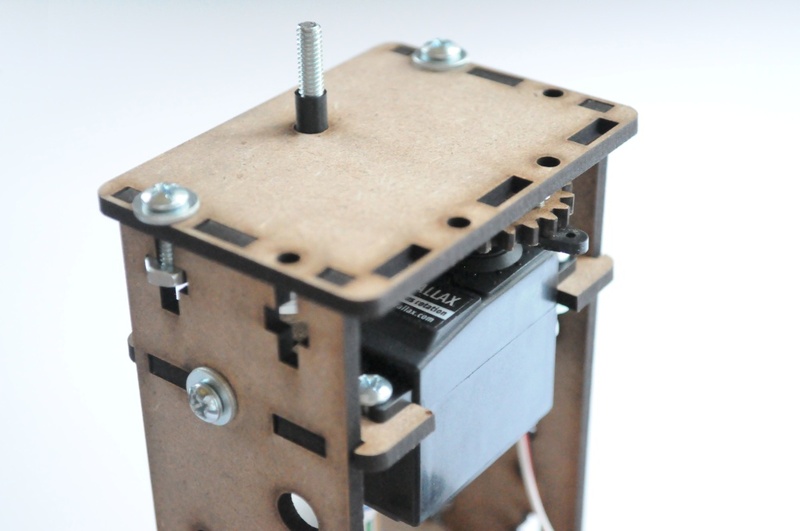 In the early days of the RepRap 3D printer project, many folks were trying to figure out exactly how one could design an inexpensive FDM extruder, and there were a lot of different designs from melting pots that were fed with shredded scraps of plastic bottles, to pinch-wheel designs that are similar to the extruders commonly used on 3D printers today. Many folks have posted great prototype designs for inexpensive pick-and-place vacuum heads, but I haven’t seen many that have been demonstrated to reliably pick up parts larger than 0603 resistors, or that have been demonstrated to reliably rotate parts into their desired orientations. This isn’t to say that there hasn’t been a lot of fantastic work in this space. Frequently someone will post an absolutely gorgeous pick-and-place design that they’ve put together (this one by Daniel Amesberger comes to mind), but they’re usually both expensive and intended for professional use. It’d be nice to have an easy to assemble system that was around a few hundred dollars, and that sped up the process a good deal without being intended for high throughput. 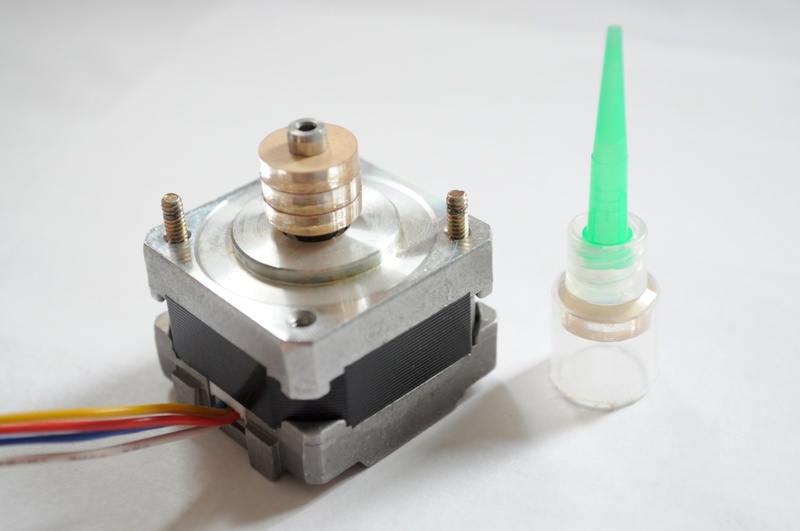 Recently I saw a post on Hackaday describing a clever prototype pick-and-place head that uses a tiny piezoelectric vacuum pump (or “microblower“) from Murata. 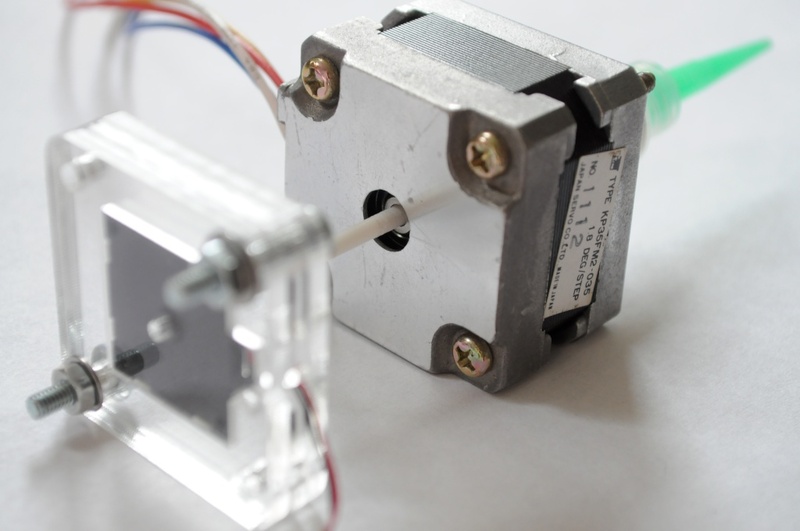 This design is attractive — at about 20x20x2mm, the pump is very small, and could be contained on the pick-and-place head itself, simplifying the design, and removing the need for an external vacuum pump, which are often fairly large and noisy. The microblower is designed to blow air rather than act like a vacuum, and so to use it as a small vacuum pump the intake ports have to be covered. 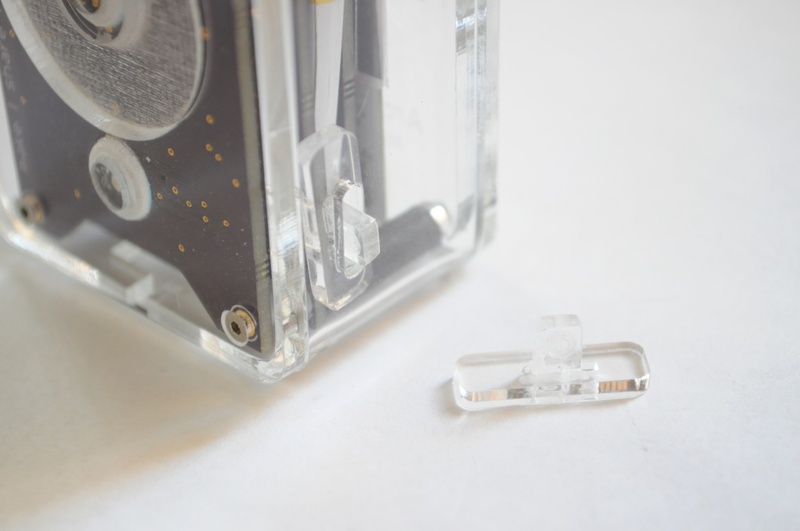 I put together a small acrylic sandwich with the microblower in the middle, the blower output on one side, and a port for the microblower input on the bottom. 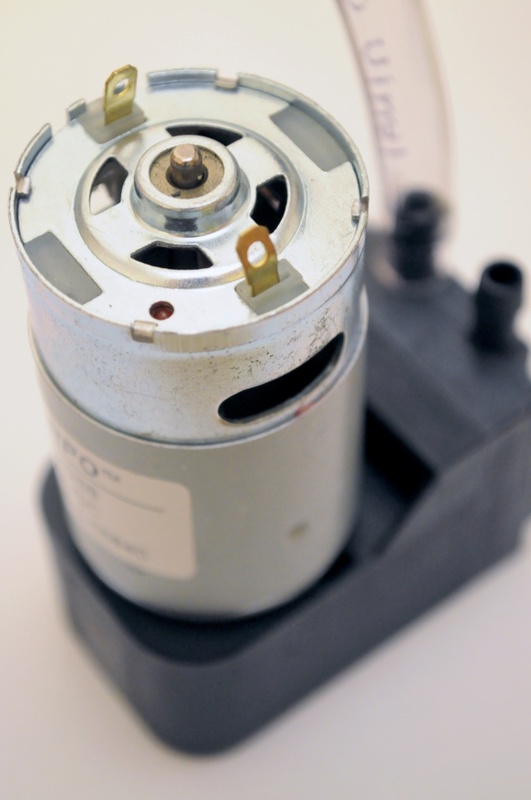 I also found a small NEMA14 stepper motor with a hollow shaft to use as a rotation mechanism for the part. 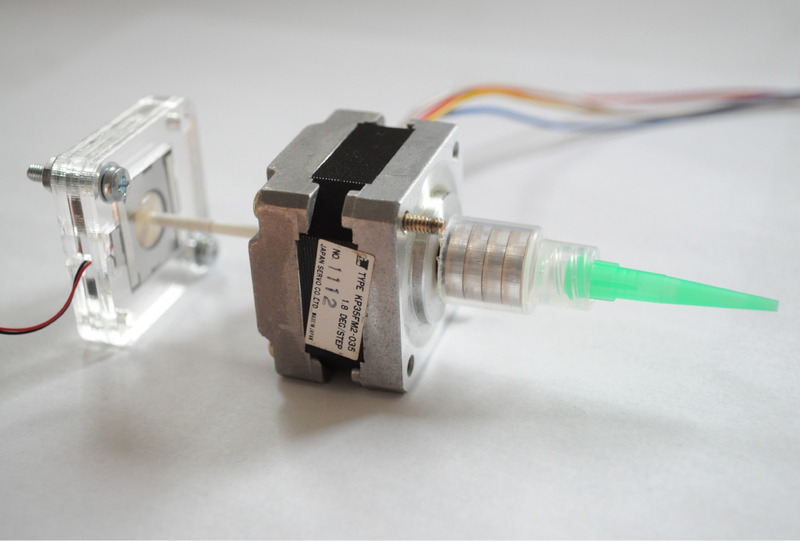 This is attractive, as the mechanical design can be kept quite simple — a microblower on one side of the motor, and a nozzle on the other to interface with the part. The pick-up end couples the business end of a solder paste syringe and detachable luer-lock dispensing tip (from Zeph) to the 5mm stepper motor shaft using a set of press-fit rings that I laser cut out of acrylic. The bottom of the Murata microblower is shown above, which is where the large inlet draws in air. The tiny hole under the inlet is about 2.2mm in diameter, which is the same size as the drill in the hollow shaft stepper. I happened to have some polystyrene tube that was nearly press fit, and just required a little sanding on either end to couple the microblower inlet with the stepper shaft. Also seen here is the microblower driver board from the Murata evaluation kit. 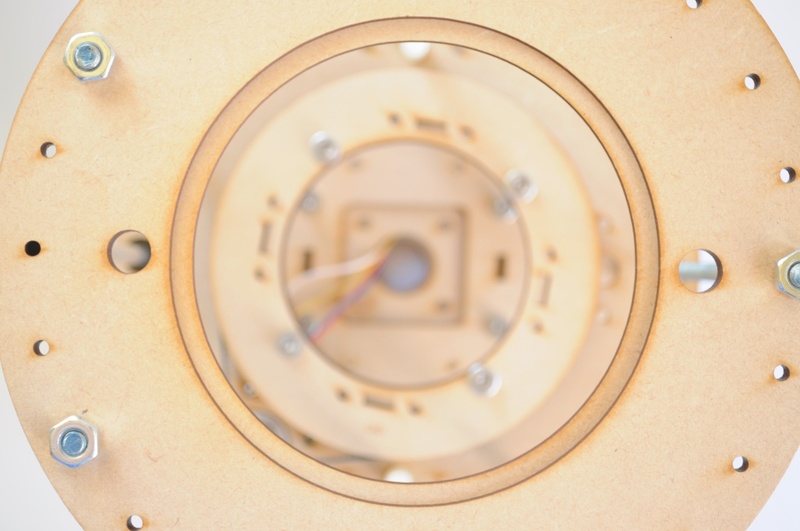 The top of the microblower, shown above, is also press-fit coupled to the top of the acrylic case. I added in some sealing silicone to this aperture (as well as the wire harness aperture) after taking this picture, to ensure the highest vacuum, and best chance of success. An arducorder, for size. 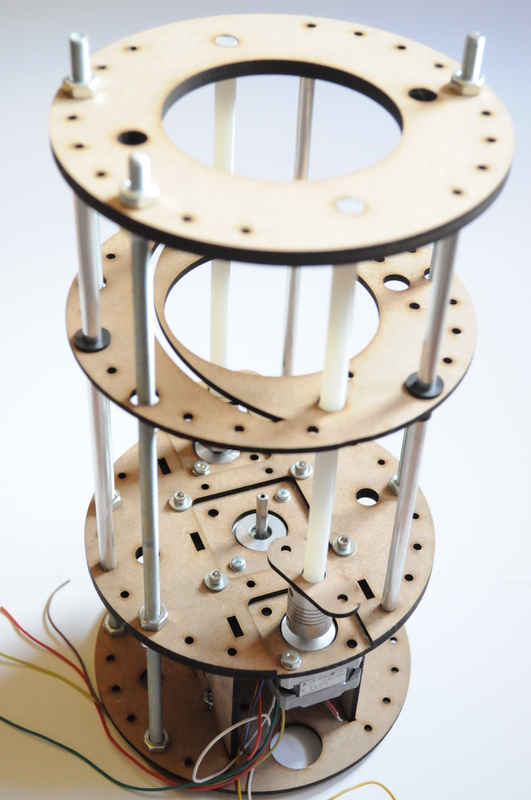 Although a prototype, and the long coupling tube between the microblower and motor could clearly be shrunk up quite a bit to reduce the overall height to just over the height of the NEMA14 stepper. How well did it do? Like other’s designs I’ve seen, it had little issue picking up 0603s with ease, but the real measure is how well it does with other components. Unfortunately about the heaviest I could pick up, even with some suction cups attached, was this ~4x4mm magnetometer — and even then, it was right on the edge of the pick-up strength. 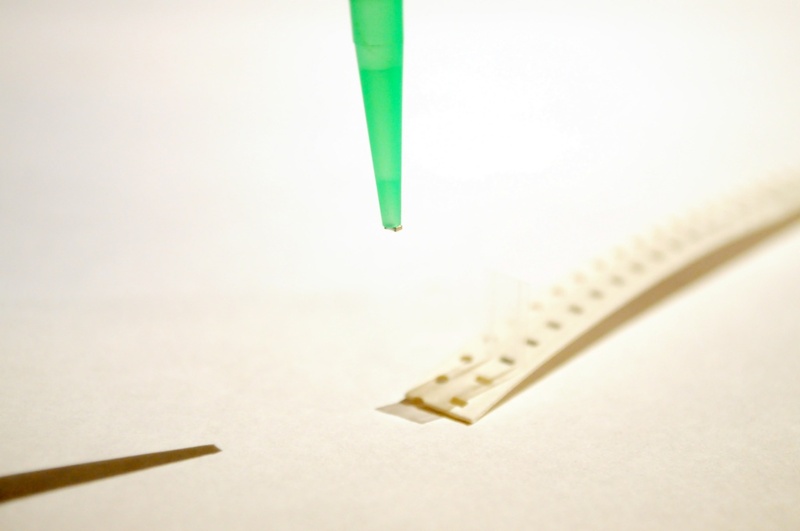 It could be picked up flat from the table, but not from within the tape. And so it appears that a microblower, while a very exciting component, is likely only useful for picking up extremely small components when used as a vacuum pump for pick-and-place heads. Some time ago I’d also tried this experiment using a KPV14A-6V micro vacuum pump from Clark, again without much luck. In light of this, it looks like my hope of designing a tiny, inexpensive, and completely self-contained pick-and-place vacuum head likely is still a ways off, but there are plenty of other options for vacuum pumps, if we’re willing to relax the completely self-contained constraint. Grant Trebbin has reported a good deal of success with the Sparkfun vacuum pump for his manual pick-and-place, and mentioned that he’s able to pick up around 15g with appropriately sized suction cups — more than enough for most components. So let’s give that one a try. I put together a quick adapter to go from the 1/4 ID tubing from the Sparkfun vacuum pump to the ~2mm diameter bore on the stepper shaft. This larger diameter tubing is far too stiff to move around, so eventually it’ll have to be sized down to something much smaller and more flexible, and the adapter mount will have to better allow for up to 180 degrees of rotation — but this make-shift coupler is good enough for a first test. The Sparkfun vacuum pump is capable of much more lift than the microblower, and was able to lift nearly every part that I gave it. Here a 100-pin TQFP is lifted with ease, even with the motor running at 8.5V (from 12V) to reduce the noise a bit. And here, the pump similarly has little issue picking up an entire bluetooth module. Definitely very promising! I hope this has helped some folks who are also thinking of putting together their own pick-and-place vacuum heads. 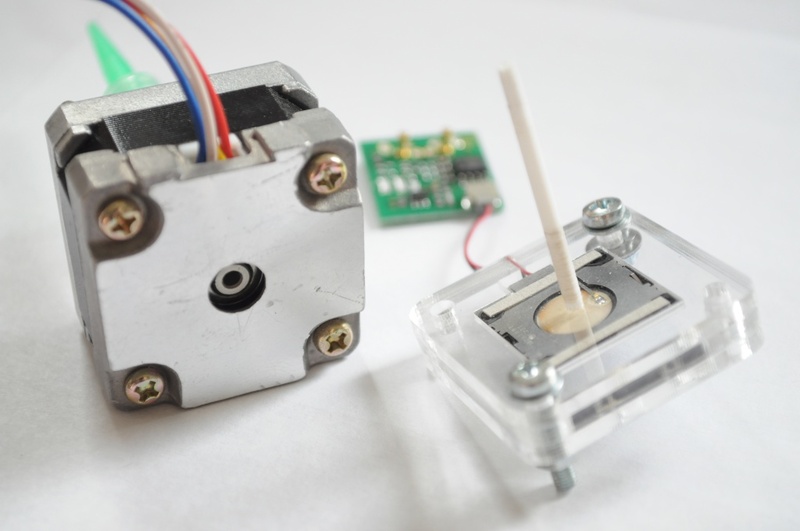 The microblower is a beautiful part, and were it to have enough suction, mounting it atop the stepper would make for a very small, self-contained, inexpensive vacuum head — but as it is, it looks like it’s only appropriate for picking up small passives. The Sparkfun vacuum pump definitely has more than enough suction for most of the parts that I’m likely to encounter, and after figuring out a better coupler between the vacuum pump and the stepper shaft that will better allow for rotation, it’s likely to perform quite well. My one reservation is that the luer-lock heads appear to attach slightly off-center, so that when a part rotates, it translates a little while rotating. I’m sure with a little alignment it’ll work out famously. Just a quick update, and my apologies for being slow to update — I think I speak for all the Hackaday prize finalists when I say that the push to finish was absolutely exhausting! In the mean time I’ve been very busy catching up on writing two papers in the lab, visiting with family over the holidays, taking care of a sick kitty, and trying to find a few hours of rest. The C12666MA micro-spectrometer is a beautiful instrument, but it’s also not the easiest to get ahold of in small quantities. 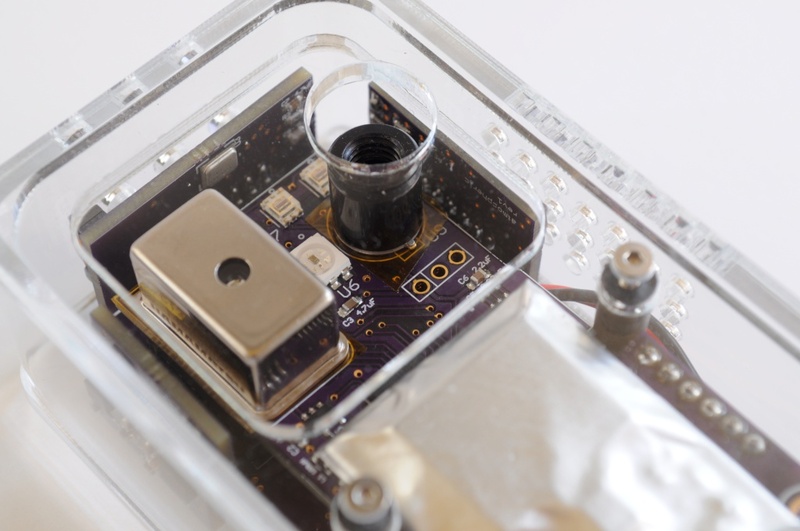 The folks over at Group Buy (who helped get the FLIR Lepton thermal imager out into the community) have a group buy for the micro-spectrometer at the fantastic price of $180, or about $50 off the regular single-quantity pricing. 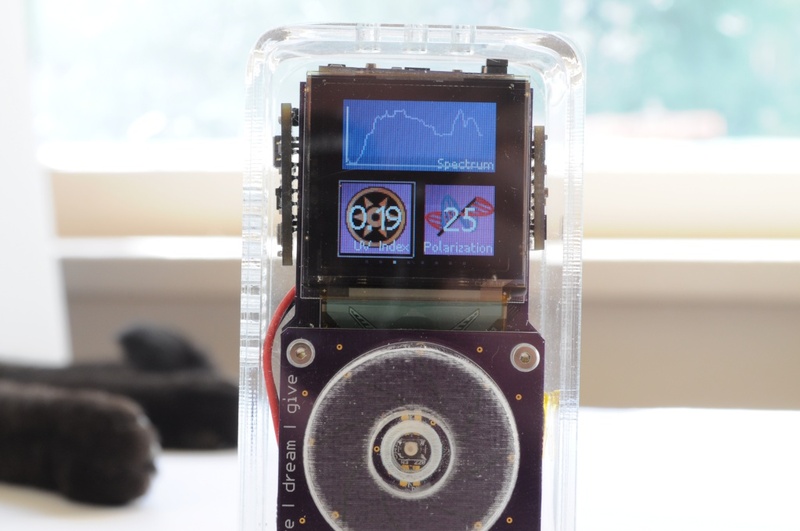 This is a really fantastic deal, and if you’ve been assembling your own Arducorder (or would like to experiment with the C12666MA micro-spectrometer), it’s a great opportunity. As of writing there are only 4 days left to get in on this group by, so you’ll likely want to act quickly. Every designer has aspects of a project that they do well, and places where they could use a little improvement. Power circuits are where I usually need improvement, and I tend to overengineer them for efficiency so much that occasionally they’re simply too complex to work on the first revision. 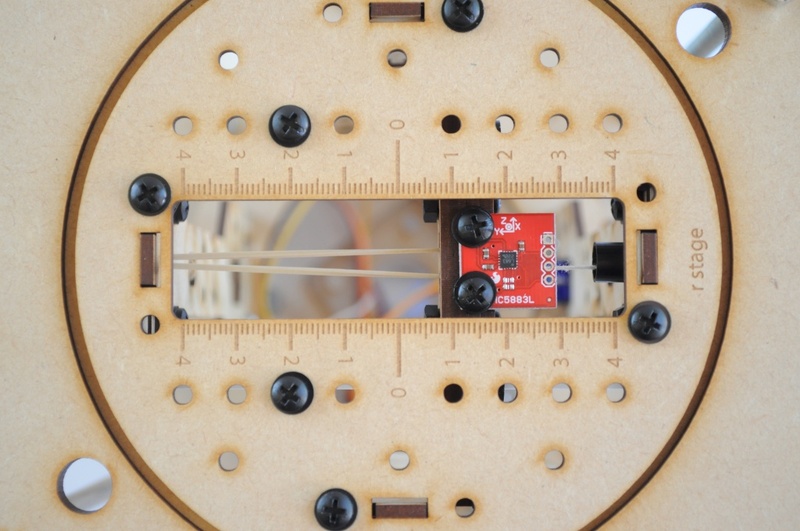 The Arducorder has a very good and high-efficiency buck/boost power circuit, but the case design was missing an important element — the acrylic slider that covers the power switch, and lets you easily turn the unit on! Free yourself from the bounds of having to carry around a tiny screwdriver or paperclip, and cut out this power switch slider :). Just a quick update — thanks for reading! 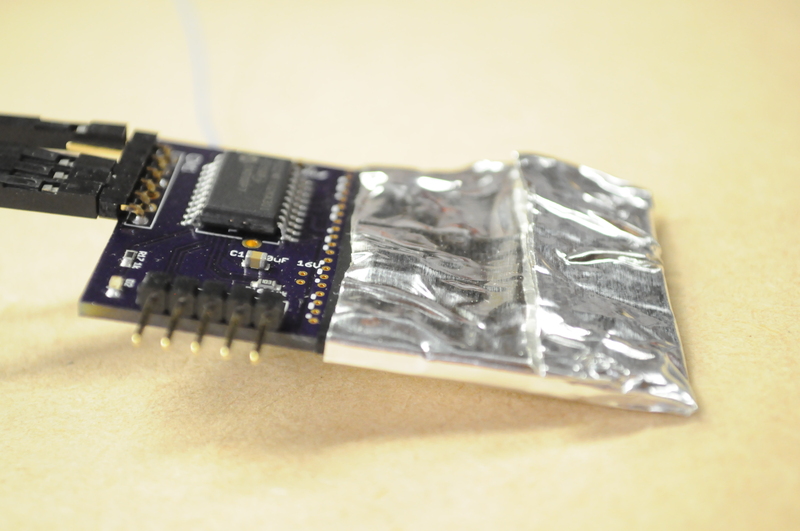 A five minute video showing the prototype Arducorder Mini, a pocket-sized general scientific tool! It’s really starting to come together! 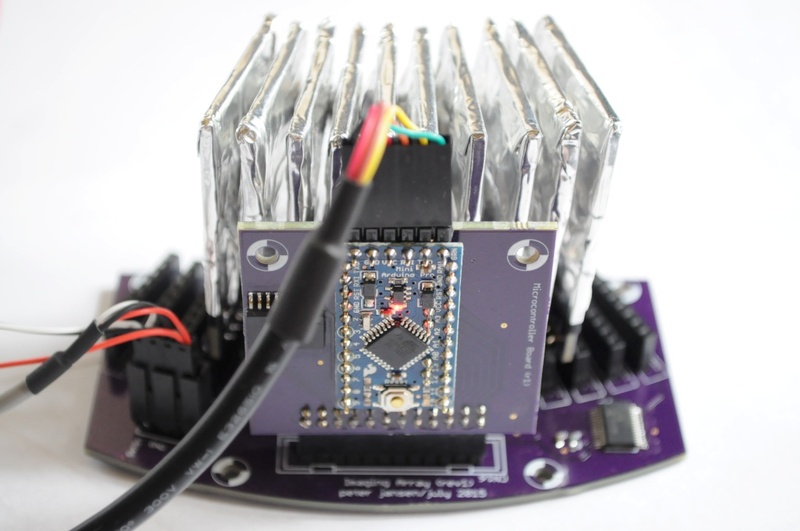 For more information, check out the Arducorder Mini page and build logs on hackaday.io! Hi folks — two exciting updates to the Arducorder Mini project! The first is a mega-update on the sensors, including this video testing out the magnetic field sensor by detecting the magnetic fields from the transformer in a soldering station! The second update (fresh from this weekend!) 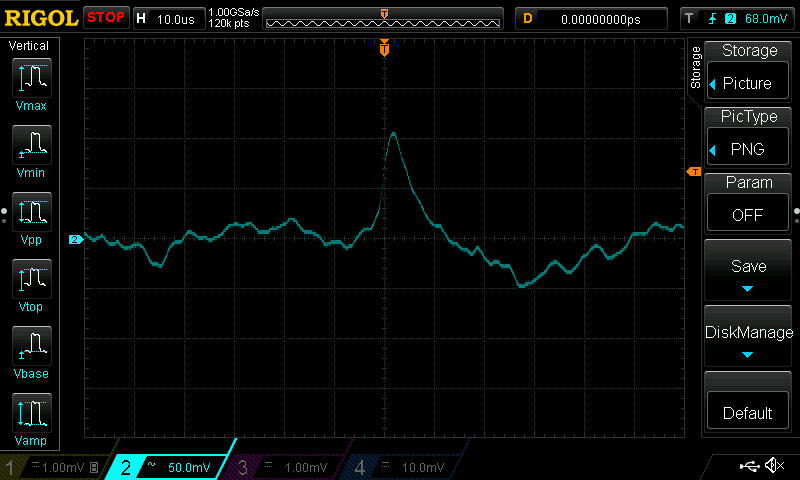 shows the capacitive touch wheel working, with a test visualization I wrote. Looks beautiful! 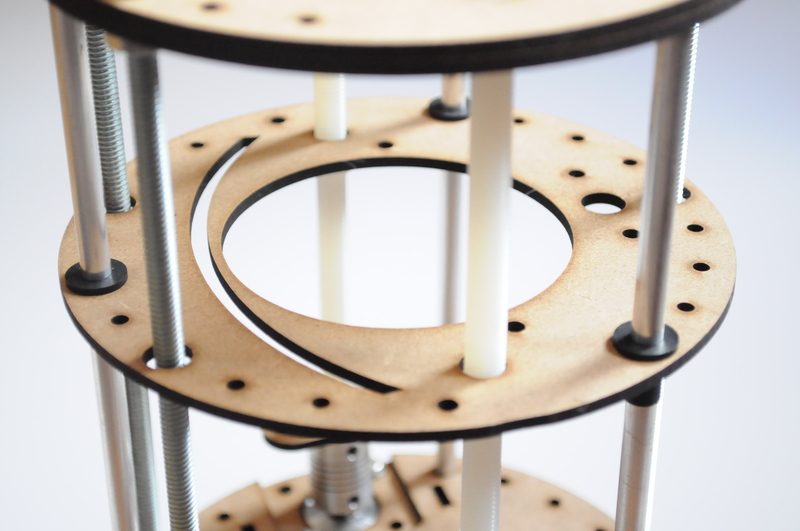 The full updates can be seen on the Hackaday.io project logs. Thanks for reading, and stay tuned!